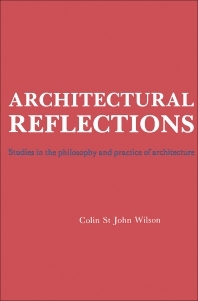 Architectural Reflections: Studies in the Philosophy and Practice of Architecture focuses on the principles, techniques, and the philosophical context and practice of architecture. The book first ponders on natural imagination, ethics of architecture, and an interpretation of Wittgenstein's comments on architecture. Topics include the meaning of play, language-game and gesture-language, role of aesthetics, reality of architecture, fine art and practical art, origin of the work of architecture, concept of psychological 'position', artistic condensation, and figures of architectural form. The manuscript then examines Alvar Aalto and the state of modernism and Gunnar Asplund and the dilemma of classicism. Topics include modernism and modernismus, issue of classicism, and connections and collaborations. The text takes a look at the thoughts of Hans Scharoun, Sigurd Lewerentz, and Gerrit Rietveld on the relationship of philosophy and architecture. The publication is a valuable reference for philosophers and architects wanting to study further the philosophy and practice of architecture.